This is the current state of the Caracas subway. Made originally for my wife, who spent a lot of time in Caracas. 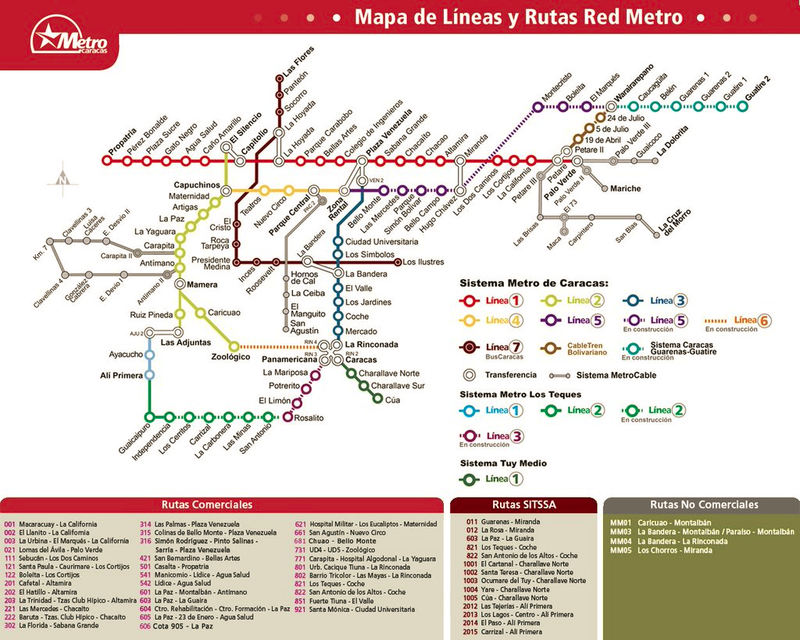 Also I was a little annoyed by the original Caracas metro map, which is pretty amateurish. Aquí está el plano actual del Metro de Caracas que yo creí. Lo hice originalmente para mi mujer, quien vivió mucho tiempo en Caracas.